Kiko found himself in a high kill shelter, a stray with no one looking for him and no one came to take him home. Thanks to one of our volunteers who saved him and contacted our rescue. He is a little lovebug who freely gives kisses! Kiko made himself right at home when he met his new family. He ran all around his new big back yard and checked out the Christmas tree to see if Santa may have left something extra 🙂 We are very happy for Kiko and wish him all the best in his new life! Thanks to everyone who made his dream of having his own family come true! Buddy is one of those little guys who just touches your heart and you fall in love! He met his new family and they have a lot of wonderful surprises in store for him! Lots of love, toys, walks, anything his little heart desires will be his. Thanks to everyone who helped Buddy get his Second chance! Buttercup was dumped by her former breeder along with several other small dogs. She has come so far with learning to trust people. Her foster family fell in love with this little cutie and she has her forever home now! Thanks to everyone who gave this little girl her second chance. Living the life of a breeder is not easy, these dogs miss out on the life they should have had. We are grateful to play a small part in helping them get the happy ending they deserve! Mr. Earl is the cutest little character! He recently came to our foster program. We don’t know much about his previous life other than he was unwanted and pulled from a high kill shelter. He was suffering with severe dental problems and thanks to some amazing supporters, donations came in to help him get the very much needed surgery so he could eat without pain. 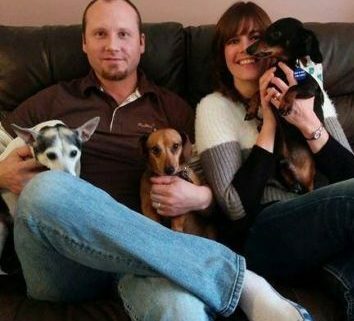 His foster family fell in love and couldn’t let him go so they made it official! Mr. Earl has the best adoption complete with balloons, cake and lots of lovin! Thanks to everyone who gave Mr. Earl his second chance. He deserves this new life and all the wonderful things it has to offer. Elvis is one of those guys everybody loves! He has a funny little personality that keeps you chuckling. Quite the entertainer! 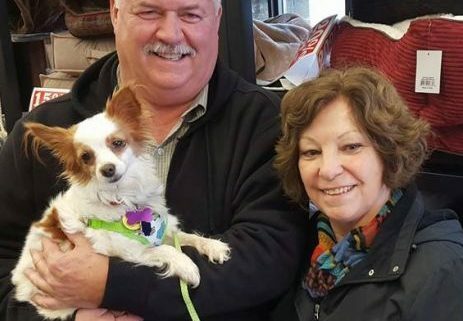 Elvis met his new family and it was a love connection as hoped! He has a lifetime of love ahead of him and we couldn’t be happier! Thanks to everyone who helped Elvis get his second chance!